Here is a description of the accomplishments of Socially Africa over the past 1 year. At Socially Africa, Transparency with our projects is important to us, and thus we film our activities and make videos available for public viewing. ALL funds raised go towards the execution of our causes. 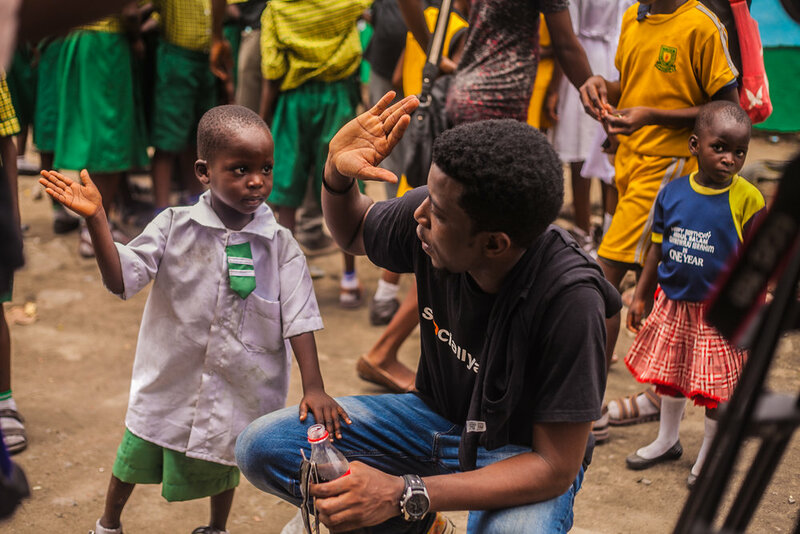 When we started out this journey, we committed to executing Art For A Cause in 2 schools every 2 months, and within one yar, we have been able to complete 11 schools within Nigeria, spending time and distributing merchandise to over 6,000 kids. We also had the opportunity to work with a school in Sri Lanka which was on the verge of being shut down, and needed our support to inspire and motivate the kids to stay resilient through the schools challenges. Throughout our journey we have met various kids who remind us of our WHY - why we are doing this. Some of the kids have shown great promise, as we have provided them an avenue to express themselves through art. Tutors have been amazed what this process has uncovered about the children under their care, simply by getting adult artists to create and display artwork amidst children. Because of how impressionable their minds are, what this does is to inspire them to create better art and better express themselves. They learn about the dynamics of a mentor and mentee at such an early age. These sort of activities yield greater results in “less privileged” communities as these children are taught to never be limited in their thinking and to aspire to become all that they dream to be. Art is a language that allows us to express and develop our ideas and emotions. Within it are processes that can not only help children to grow but also guide them to being limitless in their thoughts and aspire to becoming the very things that solve challenges they see around them. We have several hours of video footage from our various editions of this project, and we enjoy watching and sharing as a reminder that the little things are truly big things to many people who just need to be shown love and attention. Our plan for this project is to partner with various school education boards, and corporate organizations to execute in various schools across Africa. We also want to take teams to countries outside of Africa to execute this project, because we have found that love transcends geographic locations. There are people in need, everywhere in the world, and we would like to show them that we care. We launched our volunteer network called "The Amber Circle". Beyond donating funds and gift items, we encourage people to give their time to be a part of this amazing journey. Our volunteers let the network know what project they would like to be a part of, and we respond with details. As a volunteer through Amber Circle, you can - Control your level of commitment, Choose the kind of organisation you’d like to help (a local group or big charity) and what kind of area inspires you (For example, Child Welfare, Education, The Environment or the Arts), Shape exactly how much time you want to give. Some volunteers registered with us like to devote many hours a week to voluntary work while others may commit a few hours a month. You may have time free during normal working hours or prefer to keep your involvement to evenings or weekends. Some projects are short term and one-off, others will require a longer term commitment. You may consider a trustee role which could involve monthly or bi-monthly meetings. You can specify your preferences when you register with The Amber Circle Volunteer Network.